It might not be Las Vegas, but the casinos in Oklahoma are definitely worth checking out. There’s actually a lot of them right now and will probably be even more of them in the future. If you’re ever in the metro area of Oklahoma City, you should definitely consider visiting one of these casinos. Due to the state’s law on gambling, casinos can only be located on the Native American tribal lands. 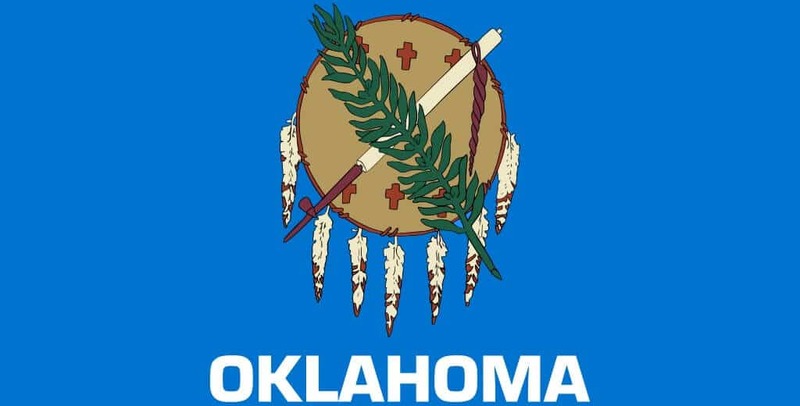 When comparing to other states in the U.S., Oklahoma is considered the new place for casinos and horse racing. In fact, it wasn’t until 2004 when voters in Oklahoma approved gambling on Native American lands. With plenty of different venues to choose from, you can be sure to find big names such as the Hard Rock as well as some smaller ones. On top of that, you also have a handful of horse tracks that allow you to gamble on the races. With over 100 casinos in Oklahoma you’ll be sure to find popular games such as blackjack, poker, slot machines and live entertainment that will keep you in the gaming spirit. Speaking of which, there’s more than 70,000 slot machines and video poker machines in total. Some of the casinos are even resorts that offer thousands of games, including hotel rooms, fancy restaurants, pools, golf courses and much more! In fact, Oklahoma is home to the largest casino in the U.S., which is the WinStar World Casino. This casino resort has 500 square feet of gaming, a 12 story hotel and a full sized golf course. Other resorts include the Hard Rock Hotel, Choctaw Casino Resort, Casino in Tulsa and the Downstream Casino Resort. You’ll be able to find great casinos all over Oklahoma with all different size ranges. Whether it be at the Riverwind casino which is centrally located, the River Spirit Casino located in the northeast, the Choctaw casino in the Southeast, they all offer entertainment such as card tournaments, slot machines and many other popular games. If you prefer horse racing, no problem, there’s Fair Meadows in Tulsa, Will Rogers Downs in Claremore and Remington Park in Oklahoma City. Whatever you’re looking for, below are some of the best casinos in Oklahoma in no particular order. Located in Oklahoma City, there are no table games at this casino, however it does feature horse racing and has around 700 electronic games you can play. On top of that, there’s live music entertainment and a nice amount of restaurant and bars you can choose from. Is a 219,000 square foot casino, making it the largest one in the metro area, located in located in Norman. On the game floors, you can expect to find over 2,000 electronic games and 50+ tables set up for poker and blackjack. It also has a 100 room hotel and a theatre in place for concerts and other events. Just outside southwest Oklahoma City, sits Newcastle Casino. Although it’s not a big casino and doesn’t have a hotel to stay at, however it does still have close to 3,000 electronic games, some restaurants and over 10 table games. Is the largest casino in the U.S. with over 500 square feet on the casino floor, a 12 story hotel and an 18-hole golf course. It also has a very large poker room. Located on the border with Arkansas. This casino resort opened in 2006 with a little over 100,000 square feet, however today it’s grown to be around 300,000 square feet and has around 3,500 slot machines, five star restaurants and seven story hotel with over 700 rooms. Located in Tulsa, has an attached casino next to it called by Jimmy Buffet’s Margaretville Casino. The two casinos combined create approximately 200,000 square feet hosting over 3,000 electronic games and close to 50 table games. Overall, Oklahoma is an excellent state to be able to gamble at. With such a wide variety of casinos, and at least one located in every county, this makes it very convenient for people who live in this state. If you want to enjoy slot machines while you’re away from the land based casinos, then we highly recommend you to experience the thrills of Vegas right here at Caesars Casino Online. All our games are simple to play, free and available 24/7. Start playing today and enjoy a special Welcome Gift on us!